Lighthouse or will o’ the wisp? Whatever the meaning of the glowing light seen from the depth of the sea, there’s an enchanting, enchanted gravity towards this construct, and not only from the sea but also from land. On ‘Closer to the sea without moving’ we meet Jon attwood once again as his prolific project, Yellow 6, is telling the story of the old Happisburgh lighthouse that is on the verge of being swallowed and taken by the sea. Old and trusted guardians die as well, I guess, and Yellow 6’s eulogy, or more precisely – last goodbye rite before the tower’s collapse, is certainly not one of utter mourning. 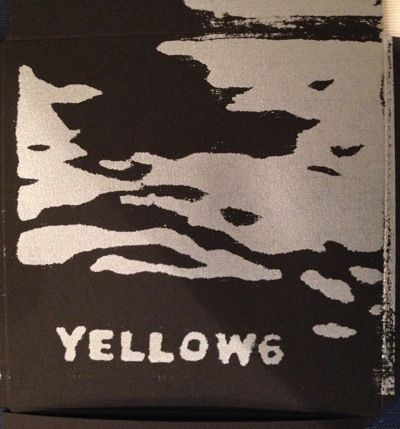 Instead – Yellow 6 creates beautiful moments that shift up and down much like a pulse, or a pulsing beacon maybe. “Red Candy” is, to me, one of the highlights on this album where a heartfelt guitar plays through blunt, yet somehow reassuring pulses of spectral chimes. By the time this track comes along, I have already found myself immersed in the various soundtracks that Attwood has composed for Happisburgh’s farewell ceremony. It is a ceremony, and Attwood knows to make it more tragic as he makes me experience it by standing alone, watching or imagining this old structure collapse. Closer to the sea, closer to the sea. Onwards, I guess.